Ghost Stories | What The Fest!? Ghost Stories is currently On Rush which means we’ve reached our allotted number of tickets to sell but please join our Rush Line as we will definitely release some additional tickets for sale starting 15 minutes before showtime. This event is co-presented by IFC Midnight. Additional support provided by Miskatonic Institute of Horror Studies, which will kick off the screening with an expert speaker! NYC PREMIERE Already lauded as one of the best British horror films ever, writer-directors Andy Nyman and Jeremy Dyson’s spooky, entertaining GHOST STORIES was adapted from a major stage hit into a seriously cinematic creep-out. Professor Phillip Goodman (Nyman) is a lecturer, TV celebrity and paranormal debunker, an atheist and a rationalist who’s ready to expose hoaxes and frauds at any time of the day. His skepticism is partially due to his mentor, a famous TV host from the 70s, who stuns Philip when he turns up to tell him that the supernatural might be real after all. He urges Philip to reopen three of his cases that were never resolved by a rational explanation: a night watchman (Paul Whitehouse) who experienced a horrible vision; a schoolboy (Alex Lawther) terrified on his drive home; and a retired trader (Martin Freeman) who encountered a poltergeist. Philip seeks all of them out, but as he buries himself in the cases of these three strangers, he begins to sense that they may have some terrible, collective significance for him personally. 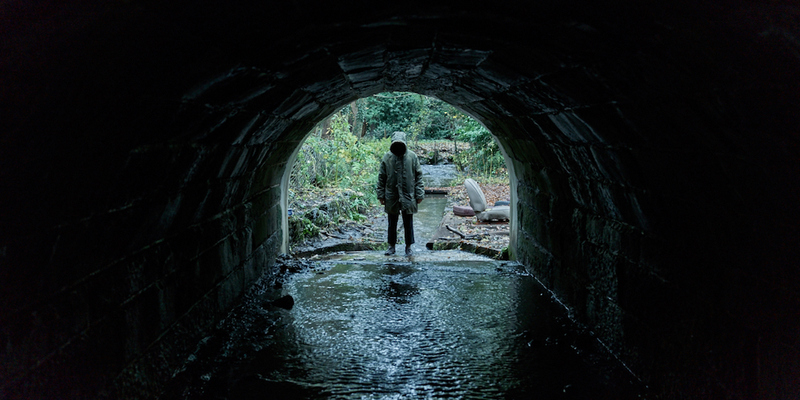 GHOST STORIES’ eerie atmosphere and strange happenings crawl under your skin without asking permission–one of the traits of a truly fine horror movie. Add in the hair-raising moments that make you anxiously search for the exit sign so you won’t have to run into any of Goodman’s discoveries, and you have a truly terrifying delight of a film!